When making a cocktail with beer in it, it is imperative that you choose the right beer. This is where people tend to get a bit flummoxed. There are so many craft beers to choose from, how do you know if it’s right? My advice is to practice, practice, practice. Try lots of different beers in different drinks to see how they react, and what flavors they complement. Mix a cocktail, split it in half, and try two versions with two different beers. However, if you just don’t have the time for all this experimenting (or the tolerance), you should pick a couple “go to” beers. These are beers that will pretty much go with anything, because of their light flavor profile. This is not to say these are LITE beers, far from it! They are styles that are traditionally lighter in the hops realm, mellow in the malt, crisp and easy drinking. 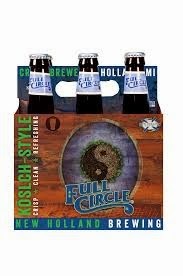 One of my go to beers for making a cocktail is +New Holland Brewing Company‘s Full Circle Kolsch. Now, I know that a true kolsch must be brewed in Cologne…..but despite this, this beer is true to style. And a style like this is actually pretty hard to nail….there is nothing to hide behind, no wacky flavors to cover up bad brewing, not a lot of hops to overwhelm the palate. It’s straw colored, crisp, full flavored, and nice and bubbly. Perfect for your cocktail. So New Holland has this new “brew”, part of their spirits line. 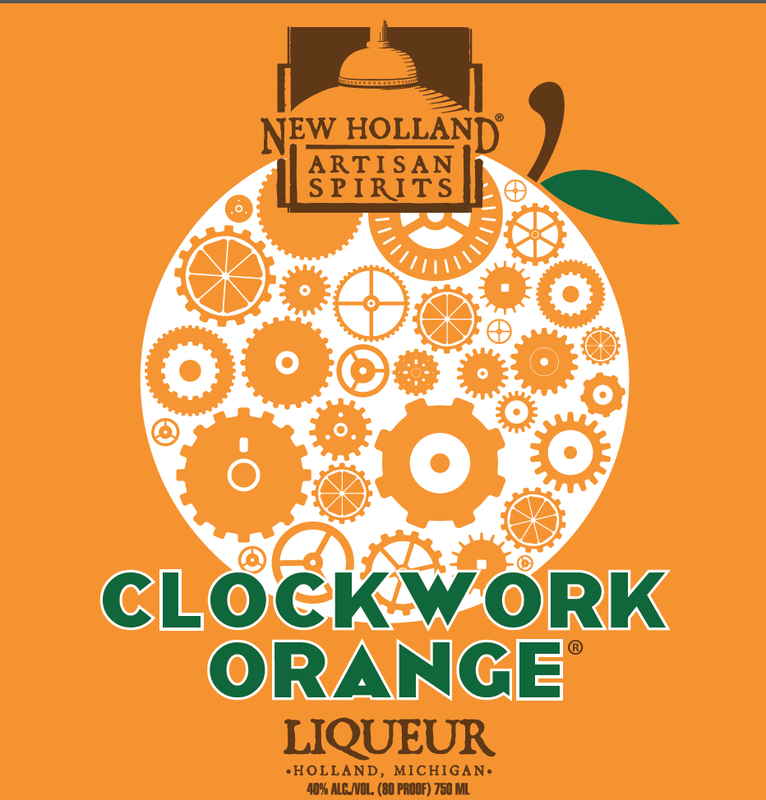 Clockwork Orange, an orange flavored liqueur with spices. It’s pretty strong…this is NO triple sec. Lots of booze up front, with subtle hints of orange and just a breath of spice. Hence the name of this rum punch. Enjoy a pitcher of this over the Fourth, and Go ‘Merica! In a pitcher, mix everything together except for the beer. Pour into individual glasses filled with ice, then top with about 1/2 cup beer each. Serve with a straw.